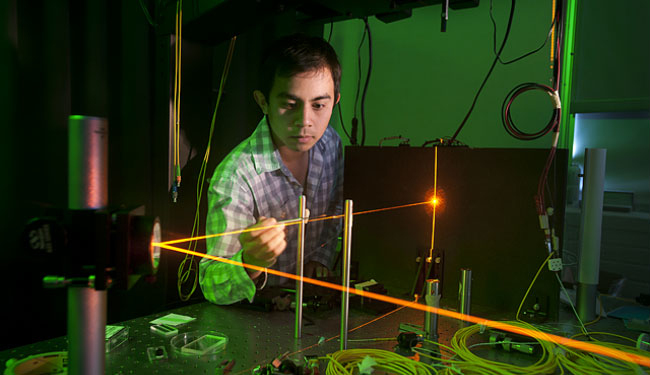 The Cal Poly Pomona Department of Physics and Astronomy is one of the largest in the CSU, and focuses entirely on undergraduate education, from classroom instruction, to advising, to research. Click here to learn more about why you should study Physics and Astronomy at Cal Poly Pomona. Come join us! The California-Arizona Partnership for Astronomy Research and Education (CAMPARE) is a program funded by the National Science Foundation. 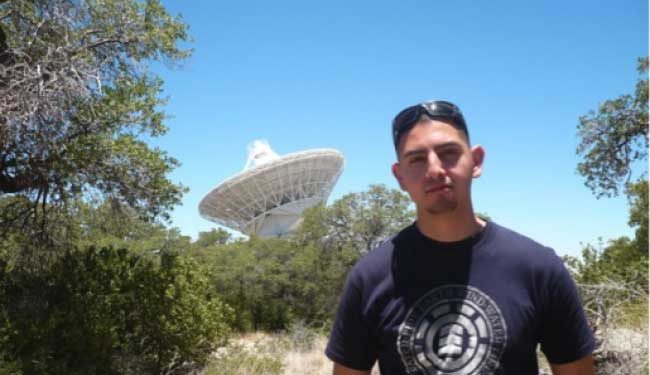 Undergraduate students can apply to spend their summers at the University of Arizona Steward Observatory, the SETI Institute, or NASA's Jet Propulsion Laboratory. 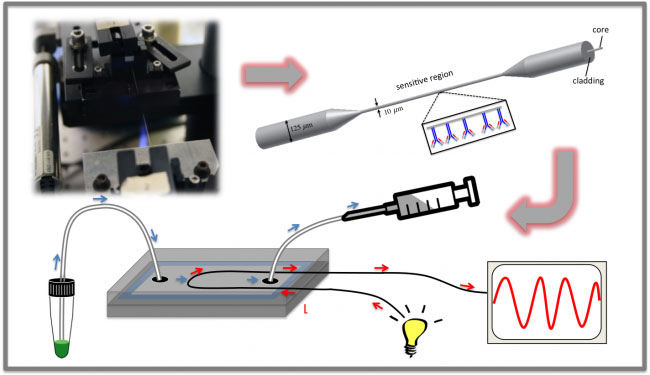 Research on Fiber Optic Biosensors is one of the interdisciplinary research programs. We develop tools to address some of the needs in medicine, environmental monitoring, food safety, and biodefense through our collaboration with Biology and Animal and Veterinary Science Departments. The Astronomy Group at Cal Poly Pomona is very active on-campus and through collaborations with research institutions throughout California, across the country, and around the globe. 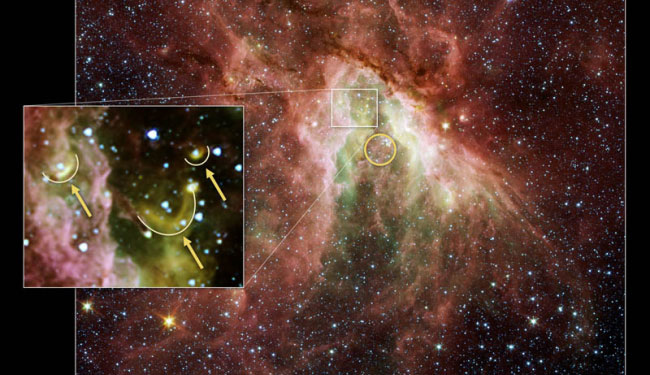 Astronomy research at Cal Poly Pomona focuses on the fundamental astrophysical problems of star and planet formation, emphasizing the strong connections to galaxy evolution and the origins of life itself. Most students in our department are involved in various research projects. 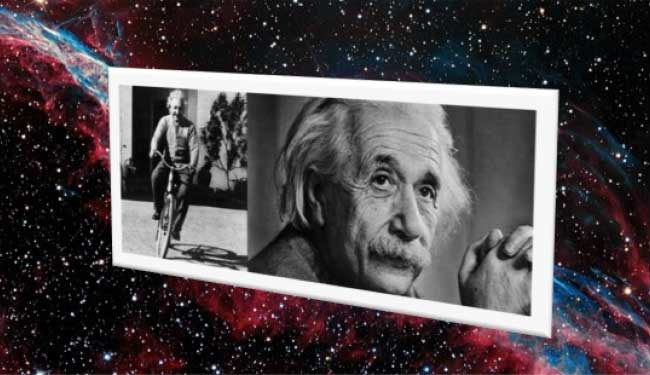 In line with our polytechnic identity, our students learn by doing research in physics and astronomy. Numerous interdisciplinary projects also allow them to interact with students from various science and engineering departments. 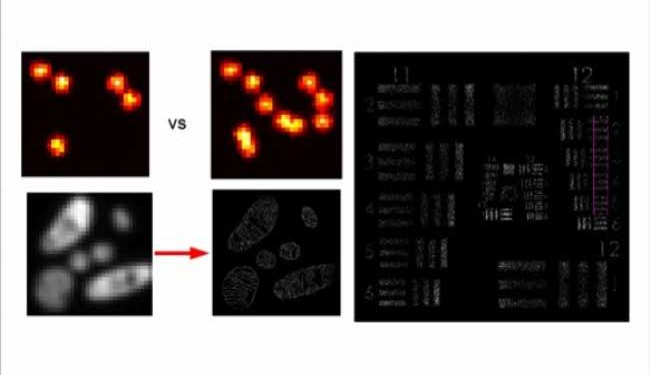 These are simulated images of a mitochondrion with (clear) and without (blurry) superresolution techniques. Superresolution reveals key structural details that would not be accessible to a conventional light microscope, e.g. individual folds (cristae) that normally require electron microscopes. 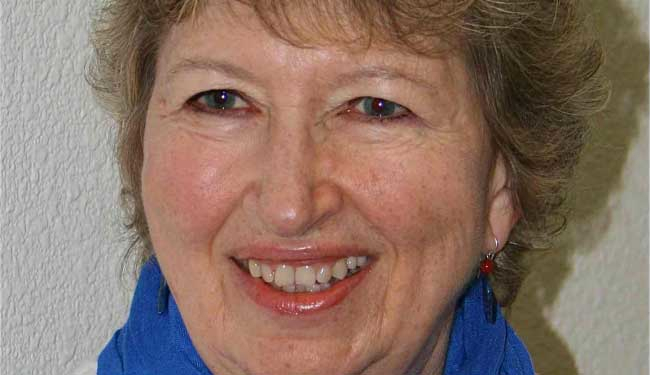 Dr. Mary Mogge, Professor Emerita of the Department of Physics and Astronomy, is currently the President Elect of the American Association of Physics Teachers (AAPT). She will become the President in January 2015. Our students feel the warmth of the department by being involved in the Society of Physics Students (SPS). Physics and Astronomy Club Room is the place for students to socialize. In addition to discovering the wonders of the Universe, they also become part of the community! 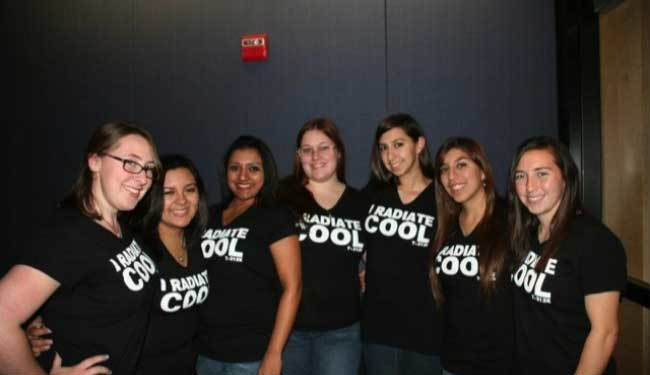 Our SPS has many active women physics students. The 10th Annual Women in Physics Lunch was a big success!